Visit our Fitness Center to keep your routine. Take a dip in our heated swimming pool, soak in our spa, or just relax in the sun. With two regulation horseshoe pits in our Picnic Area, you can host a match or just practice. Horse shoes are available at the Office/Store. Let your pet stretch their legs in our fenced dog run, or use the pet washing facility to give your four legged friend a good grooming. Ask our staff for suggestions on where to go for some excellent photo opportunities, including Monterey Bay, Pinnacles National Park, and the River Road Trail. One advantage of being away from the cities is our dark night sky. Check with our staff for suggestions or upcoming celestial events. Yanks RV Resort is your gateway to the many attractions and activities in Monterey county. Click on the links to the left or look below for informative links to help you plan day trips or sight-seeing excursions from your ‘home base’ at our RV park. Over on the coast is the town of Carmel, an upscale European-style village nestled above a picturesque white-san beach. Features shops, restaurants, art galleries and a California Mission. If you’re Interested in a day trip to the Pacific Ocean, you can use this web site page from the Monterey County Convention and Visitors Association. A comprehensive listing of many different local events, large and small, provided by the Monterey County CVA. The legendary resort community in a dramatic coastline setting, with world class golf resorts and the beautiful ’17 Mile Drive along the windswept coast. The “Mazada Raceway Laguna Seca” offers a number of major auto and race events, along with some other great entertainment options for our campground guests. Stay at our RV park to attend the races enjoy greater comfort. 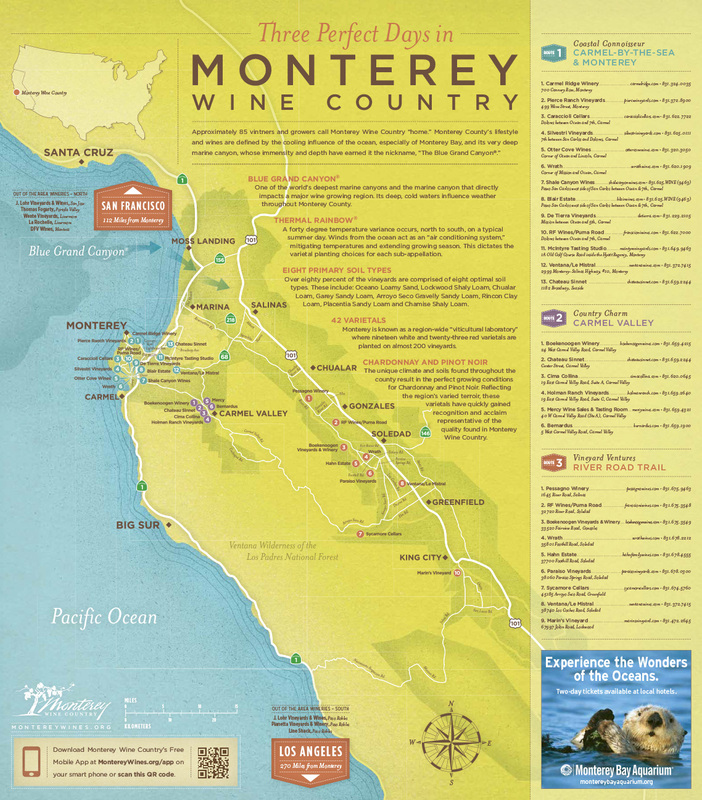 For additional information on specific attractions, visit our Monterey Attractions page.